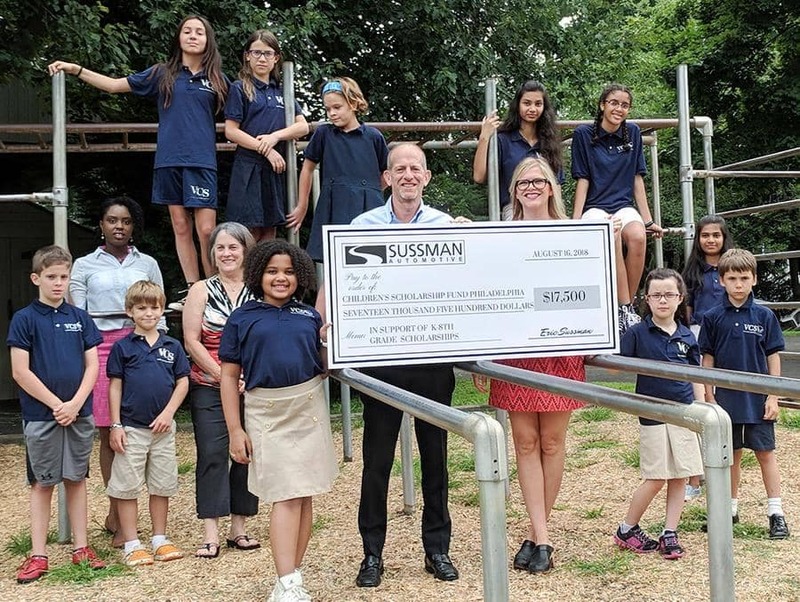 HUNTINGDON VALLEY – August means back to school season, and Sussman Automotive celebrated the end of summer by presenting a donation to Children’s Scholarship Fund Philadelphia (CSFP) at Valley Christian School today. The donation, presented by Mr. Eric Sussman, will support CSFP students who attend one of CSFP’s 170 partner schools. Thousands of Philadelphia children are headed back to school this season with the support of a need-based scholarship from CSFP. 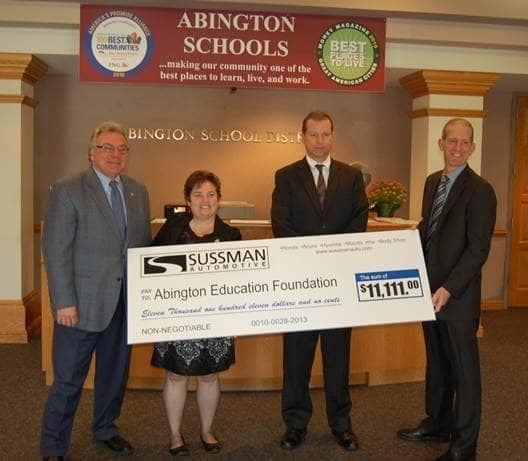 Sussman Automotive’s donation is made through the PA Educational Improvement Tax Credit program (EITC), which provides state tax credits to companies who support scholarship organizations like CSFP. The donation will provide crucial assistance for children who, if not for the scholarship, may instead attend a school that is among the lowest-performing in the Commonwealth. “When children have a foundation for success, they can go far. These scholarships help them build that foundation, and change the course of their lives,” said Mr. Eric Sussman. Children’s Scholarship Fund Philadelphia (CSFP) is a privately funded program whose mission is to provide financial access for students from low-income Philadelphia families to safe, high-quality, tuition-based schools. It is the largest provider of scholarship support for grades K-8 in Pennsylvania. CSFP currently serves more than 5,000 children in K-8th grade enrolled at more than 170 area tuition-based schools, who are receiving an average of $1,950 per child, per year. Tuition for the majority of CSFP schools cost just $4,500 per year. CSFP scholarships are all need-based and awarded by random lottery. 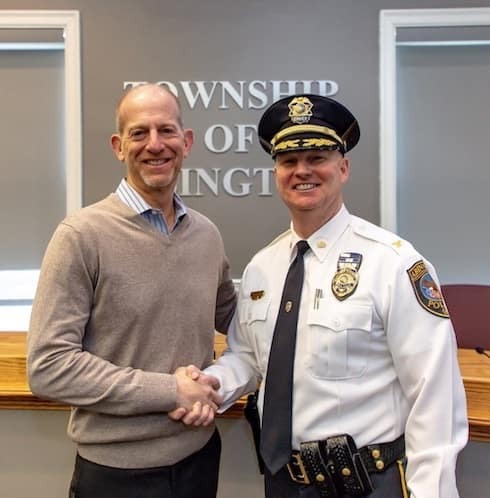 We have recently committed to providing continuous support for The Abington Township PAL. Please give $1 to P.A.L. while you’re in for service. 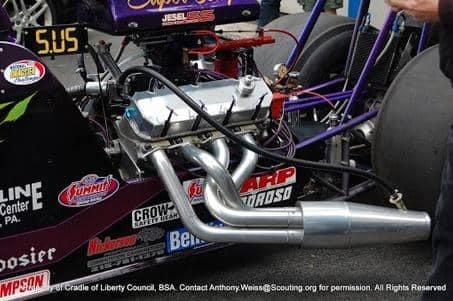 Your donation will be added to the Sussman Automotive monthly contribution to ensure continuous support to the kids of P.A.L. 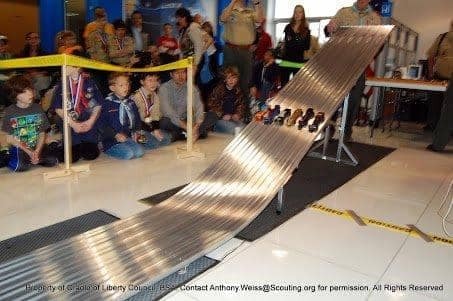 The 11th Annual Sussman Automotive BIKES FOR TYKES finishes with a flourish. The bikes we collect go to kids who otherwise would have been denied the simple joy of owning a bike. Below are photos of Sussman employees who volunteered their time to get the bikes ready. We hope the children have enjoyed these bikes as much as we enjoyed preparing them. 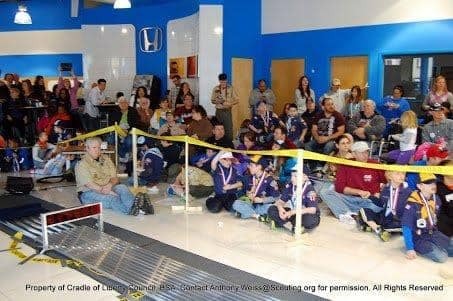 Car enthusiasts were out in force recently at Sussman Honda. 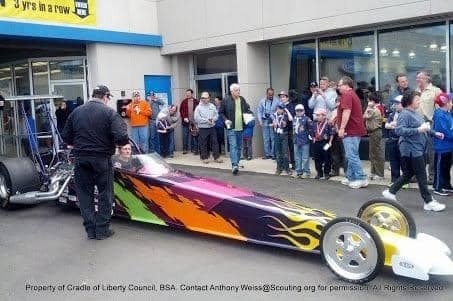 The family-owned dealership on Easton Rd in Roslyn opened their doors on a Sunday for a day of car racing excitement. 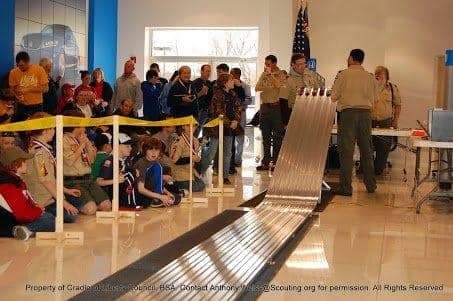 Hundreds of Cub Scouts, Boy Scouts, family and friends packed the showroom for races during the 60th anniversary of the Pinewood Derby. These were the district races. 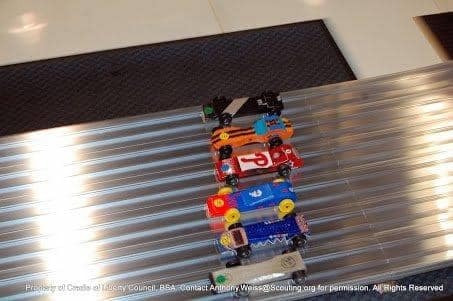 All entrants were top finishers in preliminary races. Montgomery County Fraternal Order of Police Theater Activities Fund AMHF – Women’s Board JCA Mt. Laurel Softball Abington Fire Company E.H.T.P.A.L. Roslyn Fire Co. #1 Big Brothers/Sisters of Montgomery County Young Life Montgomery County P.C.A.M.C. American Heart Association The Friends of Jean Webster Miss Pleasantville Pageant Abington PAL – Community Policing FBO Aidan Sandor Abington Community Taskforce Bishop McDevitt High School The Horsham Rotary Club Stony Creek Anglers Habitat for Humanity Wm. Rohrer Center For Health Fitness Abington Police Golf UDHS Football Boosters Club MSBA Family Service Association Matthew & Michael Golf Outing Lee’s Hoagie House Golf Outing CH East PTA – Project Graduation Abington Township/Roslyn Parade The Atlantic Biokinetics of USA EHTYO Football Juvenile Diabetes Research Foundation Hatboro-Horsham Boys’ Lacrosse St. Luke’s Home & School Association Shamrock Girls Phil-Mont Christian Academy Jessica’s Carnival of Fun The Ted Lindeman Outreach Fund .